From the acclaimed author of Schindler’s List, the new novel that has been called the best of Thomas Keneally’s career, and hailed as “magnificent…stunning…full of suspense, searing particulars, and deep emotion” (The Guardian). In what is perhaps “the best novel of his career” (The Spectator), the acclaimed author of Schindler’s List tells the unforgettable story of two sisters whose lives are transformed by the cataclysm of the first world war. IN 1915, Naomi and Sally Durance, two spirited Australian sisters, join the war effort as nurses, escaping the confines of their father’s farm and carrying a guilty secret with them. Amid the carnage, the sisters’ tenuous bond strengthens as they bravely face extreme danger and hostility—sometimes from their own side. There is great humor and compassion, too, and the inspiring example of the incredible women they serve alongside. In France, each meets an exceptional man, the kind for whom she might relinquish her newfound independence— if only they all survive. At once vast in scope and extraordinarily intimate, The Daughters of Mars is a remarkable novel about suffering and transcendence, despair and triumph, and the simple acts of decency that make us human even in a world gone mad. It was said around the valley that the two Durance girls went off but just the one bothered to come back. People could not have said which one, since both the girls were aloof and looked similar—dark and rather tall. There was confusion even in the local paper. And they weren’t the sort of girls whose names were called across streets—girlfriend hallooing girlfriend in the excitement of Kempsey’s big shopping days. Before the war it was the younger one—wasn’t it?—who stayed at home with her parents. The slightly shorter one, anyhow. And it was she who took her mother, Mrs. Durance, to visit the surgeon in Sydney. But what could those Macquarie Street doctors do? After a choppy night’s passage down the coast aboard the Currawong, Mrs. Durance finally fell asleep off Broken Bay, only to be woken, as the steamer entered the Sydney Heads, by a steward bearing tea— Sally being on deck at the time for the experience of the approach to Port Jackson. Mother and daughter had time for another cup of tea at the wharf in Darling Harbour before Sally took the exhausted Mrs. Durance to the surgeon’s rooms in Macquarie Street. After an examination by this eminent man, she was sent from his office to Sydney Hospital for X-rays. Then she and Sally met up with Naomi, the other daughter, the one who was considered a bit flash—Macleay District Hospital not good enough for her—who’d been in Sydney a few years. They went that afternoon for a bang-up tea at Cahill’s, while they waited for the expert men who read the body’s inner secrets from photographs to discover what was wrong with Mrs. Durance. The sisters knew their mother had understated her pain to them. They knew she was secretive about the scale of her bleeding and the urine coming out of the wrong opening. That night, Naomi put them up in her little flat in Bondi Junction—Mama sharing Naomi’s bed, Sally on the sofa. They could have all stayed at Mrs. Durance’s younger sister Jackie’s place at Randwick, but Mrs. Durance didn’t want to share news of her health problems with her sister yet. Both Sally and Naomi woke several times to their mother’s choked-down groans. But unblunted ambition seemed to declare itself the next morning in the briskness with which Naomi put on her uniform and her scarlet cape to go to her duty at Royal Prince Alfred Hospital. There had always been something larger than her beginnings written in Naomi Durance’s gestures and her long bones. Her parents knew it. She had left them for the city, but in so far as they were boastful, they boasted of her. Sally worked a mere three miles from home, across the river, at the Macleay District Hospital. Merit in that, no one denied, and loyalty. But it was news of Naomi that made eyes shine on the Durance farm. It was cervical cancer, the surgeon told Mrs. Durance the next morning. There was no option of an operation, for it would be a very long, painful, and dangerous procedure, and could not hope to get all of the proliferating cancer. Surgery was to be recommended chiefly in the early stages, whereas metastasis had already occurred, as the X-rays showed. If she rested well and ate lots of fruit, he said, she could expect to live at least a year. She was a dairy farmer’s wife? Well, no more butter churning, he said, and no early morning milking. He would give her a script for pain medicine, he told her. He would also be writing to her doctor in the Macleay so that he could keep her comfortable. You are fortunate to have two daughters who are registered nurses, he told her. I am, she said, glowing with pride but hollowed by pain. She and Sally caught the regular outward journey of the Currawong home the next night. Naomi saw them off at Darling Harbour, in the shadow of those shameful slums of the Rocks. From them bubonic plague had come boiling forth in the girls’ childhoods and been carried north on the Currawong by a rat nestled in a furniture case. Naomi waited in their small cabin until the last call to go ashore and then stayed on the wharf to wave a futile handkerchief, as if she were part of one of those heartbreaking paintings of emigrant farewell. She’s so beautiful, isn’t she, Sal? asked Mrs. Durance, leaning on the railing from pain rather than as a gesture of languid seafaring. She has a lot of grace, doesn’t she? As they reached on a black tide for Dawes Point, the handkerchief still waved, more luminous than Naomi’s face. Bush people did that handkerchief-waving stuff and it gave them away as hayseeds. But worldly Naomi risked that tonight. She had promised she’d come up as often as she could and help Sally out. But that she would remain a city woman was not questioned. It was a brisk night, and Mrs. Durance developed a cold on top of all else. She again fell asleep late. Again Sally came on deck at dawn and looked out at the blue surge of the tide breaking on the yellow sand of Trial Bay and making enough water at the river bar to allow the Currawong to enter. For six months Mrs. Durance ate her fruit and sat in sumps of sunlight on the veranda. But the cancer owned her by night. Sally still worked the day shift at Macleay District but now slept on call in the same room as her mother, her father having moved to a lean-to at the back of the homestead. Sally was to administer a sixth of a grain of morphine hypodermically when brave and reticent Mrs. Durance confessed, one way or another, to agony. Naomi took her holidays and came home on a visit and gave her sister a break from the regimen. In between, Mr. Durance paid their neighbor Mrs. Sorley’s girl to sit with Mrs. Durance by day and was attentive himself. Since Mr. Sorley had been killed by a native cedar—which when cut had slipped sidewards rather than forwards—the Sorley kids were ever ready for employment. Sally noticed more clearly now that though her father and mother were souls of decency, Eric Durance moved about the bedroom as if he and his wife were acquaintances only. He seemed to fear he might be seen as an intruder. There had always been that distant courtesy between her parents. Sally knew they’d infected Naomi and her with it too. It might be one of the reasons Naomi had cleared out—in the hope that on a different stage she might have a franker soul. Mrs. Durance suffered so much night pain that she frequently told Sally she was praying to God for death. These were remarkable and dramatic things for her to say and—since she had always had contempt for overstatement—would be forced out of her only by the fiercest anguish. In the seventh month of it, Naomi came back from Sydney again to sit with her mother by day and share the night watch. The second night she was home, Sally slept in her own room while Naomi took up post in Mrs. Durance’s room on the camp cot, a surface of canvas no blanket could soften. Naomi was meant to wake Sally at four so that she could take over, but did not come rapping on her door till near dawn. Naomi was in a dress and boots and her eyes looked smeared after gales of tears. Mama’s gone, she said. I’m sorry, Mama’s gone. I ran over to the Sorleys’ and asked their boy to ride into town to get Dr. Maddox. Sally stammered with a confused and bitter grief and went to go off at once down the hallway. Naomi took her shoulders and gazed at her, straight into her face. Naomi’s eyes seemed full of conspiracy. To Sally she had the eyes of a co-murderer. At that instant their shared mercy and their crime drew them together so utterly that they were no longer city and country nurses but sisters once more of the same womb. You didn’t wake me for my shift, said Sally. It wasn’t necessary, Naomi asserted, frankly, with her gaze on her. She went before it was time to wake you. I washed her and laid her out. I wanted you to sleep. I burned her nightdresses and the rags she used and took all the tonics and pounded the bottles to dust. Especially that rhubarb concoction Mrs. Sorley swore by. There was indeed still a taint of smoke in the air. Naomi led her sister by the hand and they walked down the hallway to the plain room they had both been conceived in. Blackbutt walls hemmed in the dim corridors they loved and hated, which seemed to pull Sally closer to home but which had proved to be escape avenues for Naomi. There was her mother—gray-faced, prepared, serene—the girl she had been at some time visible again in these features delivered of pain. Sally heard herself howl and went to her mother’s body, kissing the face. The skin of the dead yielded differently. They were beyond pain but past affection too. She kissed the hand. It smelled of the scented soap Naomi had washed the corpse with. This too was proof of death. The living mother smelled of workaday Sunlight soap. Sally found herself on her knees, still caressing the hand, Naomi standing behind and above her. Naomi, who always presumed to do things first. Sally did not know whether to hate her, to attack her eyes, or fall flat in gratitude and wonder. Standing with a purpose in mind, she noticed the hypodermic needle, the morphine solution they had made up of pills actually prescribed by Dr. Maddox, and the unused bottled tablets in case the old doctor wanted to inspect them or return them to stock. She went to the dresser, was poleaxed with loss by the mother-of pearl hairbrush with strands of her mother’s hair in it. She knew the little drawer where her mother kept her subdued pink lipstick and her beige face powder. Yes, said Naomi, you should put some color on her poor face. It was a prayer—not an order—and Sally set to. The stolen reserve of morphine she had put together to finish her mother had been in the towel and linen cupboard in the hallway. How had Naomi found it? You could bet the solution Naomi had made up and injected for mercy’s sake had been poured out, and the spare illicit tablets Sally had filched from Macleay District consigned to fire with the rhubarb tonic. To Sally—putting rouge and color into her mother’s cheeks—it seemed knowledge grew between Naomi and her without them looking at each other. Yesterday they had been near strangers. Now they were altered. A different kind of reserve was imposed on them, and a different intimacy. Is Papa up? Sally asked. Does he know? Not yet. I was frightened. Will we tell him in a moment? Perhaps let the poor fellow rest a few more minutes. For he would need to do the milking even on the morning of his wife’s death. But she finds it hard to face him, Sally perceived. Naomi—who had tried to avoid the weight of home and its taint of illness—had certainly assumed the weight now. She’d taken up station on the far side of the bed, across from where Sally, on her knees, put reasonable Methodist coloration on the poor, released features. Naomi said, I didn’t have any idea till I came home that it was as bad as that. Her pain was the whole world to her. She could see nothing but it. Well, not any longer. Sally was engrossed with her mother. It was easy, Mama, to steal what you needed. I cut out two pages from the drugs record book. Former nurses who had managed the drugs register had done similar excisions because they did not approve of some missed or untidily written entry. Then for your dear sake I copied the dosages on fresh pages, adding an extra dose of an eighth of a grain of morphine in this case and that, until I’d created a phantom two grains, which I then fetched from the drugs cabinet and brought home to you. It’s unlikely a doctor or matron will remember a specific dose as months go by. But I don’t care if they do. She had kept the tablets hidden behind the bed linen in the hallway dresser. These two grains when mixed in solution and injected would bear away disease and the fuss of enduring all useless treatment. They would reach deep into the body and halt the mechanism of agony. And had now. She kissed her mother’s brow before gracing it with the powder. Eric Durance would be astonished by his wife’s beauty in death. Naomi declared, I gave her half a grain and we kissed and held hands, though I had to be careful—a touch would break her bones. Then she went. You were standing over her? said Sally. They both knew how rare it was that a patient expired while the nurse was standing there to observe and hold a hand. The dead went almost secretively. By good fortune, said Naomi without flinching but without bothering to look at her sister. By good fortune I was there. Again, Sally’s astonishment that Naomi had done the right, fierce, loving, and hard thing Sally had meant to do! Even in this she was not to be outshone, the half-mad Sally thought. But Naomi was there because she had found the secret cache and took the burden of soothing her mother’s breath down to nothing. A solemn loss and rejoicing were the day’s order—Mama’s freedom now from a world she had never since their babyhoods seemed accustomed to. As for her children, they must now get accustomed to something new. To new love and new hate and mutual shame. The roads being firm just then, Dr. Maddox arrived by motor at midmorning. The town—ignorant of medicine—loved him for his kindliness and punctuality and a lack of airs in a place where a doctor could easily play the grand wizard. But the hospital staff knew he was one of those tosspots who could carry it off well; that some unforgettable and disabling past event drove him to it. Though he performed surgery only when the other town doctors were not available, he was still a better surgeon when sober than most country doctors. It was peripheral things he was negligent at—paperwork, including death certificates. His method with the town at large was to hide it all behind an air of universal brotherhood and to breathe an impeccably mentholated breath over the sickbeds of the shire. That Saturday morning Dr. Maddox came to lower his face over Mrs. Durance and to ask Naomi about the last injection and how many grains, and to accept what she said and then breathe, Good woman—good, poor woman. Then he prepared a medical certificate, which he showed Naomi and Sally and which said Mrs. Durance had died of cancer, nephritis, and exinanition. There were in the valley many people Dr. Maddox had certified as dying of nephritis and exinanition. Nephritis and exinanition was the cited verdict all along both banks of the river and inland to the blue, wooded hills where the timber workers camped and always died of nephritis and exinanition, unless a tree fell on them. Farmers who had taken poison to escape the bank had their death certificates compassionately marked by Maddox with that saving formula. This morning of the death, over tea Sally made while keeping her eyes from straying to Naomi, Dr. Maddox sat at the kitchen table and spoke for a while to the girls’ father. These were very much men’s mutterings, half-embarrassed and platitudinous. Their father wore large, mute features, the same he brought to his labors. They had not yet crumbled in grief but somehow promised soon to do so. Sally had less reason to stay in the Macleay Valley now. She was maybe a year beyond the age girls left home for marriage. Her sister had returned to her Sydney duties. Mr. Durance took sturdily to his work and employed the Sorley boys when needed. But Sally did not yet feel entitled to go. To flee would be obscene. It would be an insult to her mother’s spirit. Her sister could escape because escape was her forte. She’d managed the trick before. But while it was easy for strangers to declare Eric Durance independent—a freestanding fellow—he did not seem so rugged to Sally. The country hospital had its own retaining power too. On the Wednesday following her mother’s funeral she found that a fourteen-year-old boy with peritonitis she was nursing had died in the night, and she believed her stinging tears were a debt paid to her mother and a sort of tax paid to the valley. So by horseback, or more often by sulky, she continued traveling in her uniform—along the broad yellow-earth road and unreliable bridge over the river—to and from the home at Sherwood. She was a figure located essentially amidst the green paddocks, one who could not glibly get away. It was in the corridors during her night shifts that the mercy they’d given her mother took on the demeanor of a crime never to be argued away. Did I do it because I was tired? Fed up with all-day working and all-night watching? In the nurses’ cubicle at the end of a public ward which contained—with all injuries and diseases there present combined and counted—no pain such as that of her mother’s, Sally wept without consolation, since no night pleadings from an entire hospital of patients seemed to come close to the daytime pleadings she’d heard from her dead but eternal mother. This young woman of twenty-two—or near twenty-three—years was considered by those who bothered to see her to be possessed by a wistfulness which some people thought represented that greatest crime of bush towns: aloofness, flashness. Either that, or she was a cause for sympathy. A spinster-in-training. This reading group guide for The Daughters of Mars includes an introduction, discussion questions, and ideas for enhancing your book club. The suggested questions are intended to help your reading group find new and interesting angles and topics for your discussion. We hope that these ideas will enrich your conversation and increase your enjoyment of the book. In 1915, two spirited Australian sisters: Naomi and Sally Durance, join the war effort as nurses. Naomi and Sally have never been close–Naomi moved away from home as soon as she could, while Sally stayed behind. But now the sisters are joined by a dark secret–their complicity in their mother’s merciful death, after a long bout with cancer. Although both sisters are used to tending to the sick, nothing can prepare them for what they are about to confront, first near Gallipoli, then on the Western Front in Europe. First their hospital ship, the Archimedes, sinks after a U-boat attack, and the sisters are thrown into the rescue effort with a gifted surgeon, Ian Kiernan. Then, in France, Naomi nurses in a volunteer hospital established by a willful British noblewoman, Lady Tarlton, while Sally edges closer to the front. Sally meets an aspiring artist from their hometown, Charlie Condon, and falls in love; Naomi, meanwhile, decides to marry Lieutenant Kiernan. Both sisters find themselves on the verge of giving up their precious independence, even as the chances of survival grow slimmer in the last days of the war. 1. 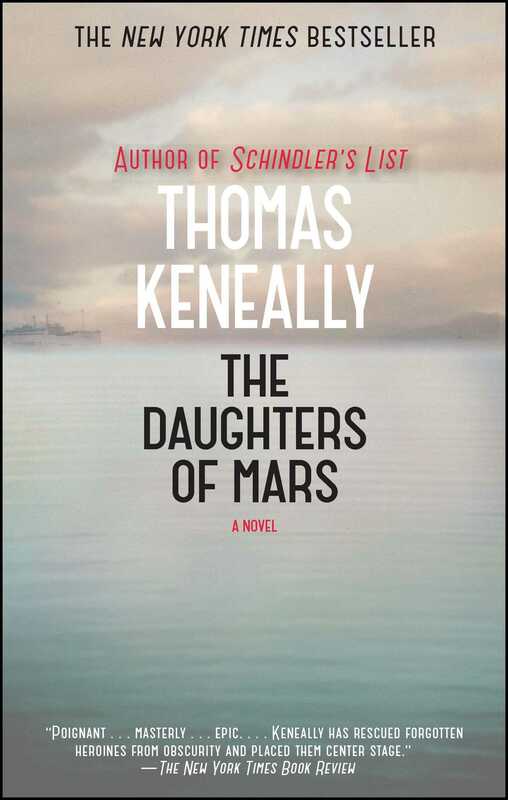 In writing The Daughters of Mars, Thomas Keneally drew inspiration from actual wartime diaries, historical hospitals, and real hospital ships. How does the novel reflect the author’s diligent research? Which scenes and characters feel especially life-like? 2. Consider the differences between Naomi and Sally Durance at the beginning of the novel. Why has Naomi left home, and why has Sally stayed? What feelings does each sister seem to have for the other? What causes their relationship to strengthen? 3. Consider the impact of their mother’s death on the Durance sisters. How do they express their grief differently? Were you surprised when Naomi contradicted Sally’s version of their mother’s death at the end of the novel? Why or why not? 4. The Daughters of Mars focuses on Naomi and Sally’s experiences, but it also features colorful secondary characters, including brash benefactors, stern hospital matrons, thoughtful doctors, rude orderlies, and nurses of all dispositions. Who was your favorite character of the novel, excluding Sally and Naomi, and why? 5. Revisit the nurses’ first experience of battle: treating soldiers from Gallipoli on the Archimedes. How do Sally, Naomi, Freud, Honora, and Elsie react to the first rush of patients? Which of the nurses seems energized by their nursing duties, and which are overwhelmed? 6. Consider the traumas of battle that the Durance sisters experience, from hearing the bombings of the Dardanelles at a distance to aerial attacks in the French countryside. Which of these scenes conveys the sights, sounds, and feelings of war most effectively? Explain your answer. 7. Aborad the Archimedes, Ian Kiernan comments on Naomi’s last name, Durance: “I think that’s a pretty fine name, he said. I mean, if you put an ‘en’ in front of it, you have one of the most flattering of words” (88). Consider the signs of endurance in Naomi. What traumas can she endure, and when does her strength falter? Why does Kiernan admire her enduring spirit? 8. Naomi tells Sally, “Our cold hearts are what we inherited. That’s not to blame Mama and Papa” (122). Why do Naomi and Sally believe they have “cold hearts?” When does each sister begin to realize that she has another warmer and more vulnerable side after all? 9. As Naomi takes charge of the rescue raft after the sinking of the Archimedes, Sally observes, “Naomi was in the water but superior to it…. It was a grateful wonder. It was a light shining through ice” (151). Revisit Naomi’s heroism during the disastrous events in the Aegean Sea. Which of her actions, gestures, and attitudes helped the soldiers, doctors, and nurses of the raft survive? 10. Consider the challenges that the nurses face on the island of Lemnos, after the Archimedes sinks. Why does the hospital administration treat the shipwrecked nurses differently? Which nurses suffer the most during their stay on the island? How do Naomi and Sally react to the persecution of their companions? 11. As they are leaving Lemnos, Naomi and Sally take stock of their strengths in the war–Sally notes Naomi’s courage, while Naomi praises Sally’s “calmness and valour” (218-219). What evidence of these characteristics has each sister displayed? What weaknesses go hand-in-hand with their strength? 12. Consider the character of Lady Tarlton, who single-handedly founds the Australian voluntary hospital in Boulogne. In what ways is she a victim of her social station? How do gossip and convention hinder her? 13. Naomi remarks that the war has acted as “a machine to make us true sisters” (331). Consider how Naomi and Sally’s relationship evolves during the long years of the war. When do they seem closest? What keeps them apart? When can they finally be considered “true sisters”? 14. The Daughters of Mars has an unconventional double ending, narrating Charlie Condon’s art opening from two perspectives: with Sally as a survivor of the flu epidemic, then with Naomi. What does this dual ending add to the novel? How do the Durance sisters remain connected, even in death? 1. Learn about the history of the island of Lemnos, from ancient Greek mythology through World War I: http://www.mylemnos.gr/limnos/eng/Lemnos-History.htm. 2. Plot the wartime travels of the Durance sisters on a world map or atlas. Mark their main sites of nursing–Gallipoli, Lemnos, Rouen, Boulogne, and Denincourt–as well as the cities they explore on leave, including Cairo, Alexandria, Paris, and London. 3. View a collection of Australian propaganda posters from World War I and decide for yourself: would these advertising campaigns have convinced your friends and family to join the war effort? http://www.firstworldwar.com/posters/australia.htm. 4. Browse this collection of medical photographs from World War I, which includes images of Red Cross doctors and nurses, craftsmen making artificial limbs, and a hand-drawn “ladder of good progress” for recovering soldiers: http://www.firstworldwar.com/photos/medical.htm. 5. Pay tribute to the hardworking nurses of The Daughters of Mars by practicing the art of making a splint. Bring strips of cardboard and gauze to your book club meeting, and have a volunteer form a splint on another volunteer’s arm. Directions can be found here: http://www.nlm.nih.gov/medlineplus/ency/article/000040.htm. 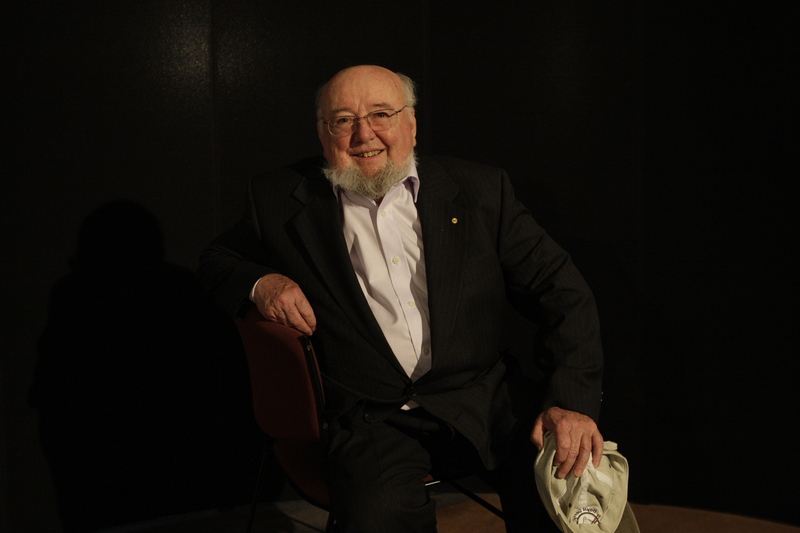 Thomas Keneally began his writing career in 1964 and has published thirty-three novels since, most recently Crimes of the Father, Napoleon’s Last Island, Shame and the Captives, and the New York Times bestselling The Daughters of Mars. His novels include Schindler’s List, which won the Booker Prize in 1982, The Chant of Jimmie Blacksmith, Gossip from the Forest, and Confederates, all of which were shortlisted for the Booker Prize. He has also written several works of nonfiction, including his boyhood memoir Homebush Boy, The Commonwealth of Thieves, and Searching for Schindler. He is married with two daughters and lives in Sydney, Australia. "The Daughters of Mars is the work of a master storyteller, sharing a tale that is simultaneously sprawling and intimate." “Not only is The Daughters of Mars one of the most ambitious novels in a career that stretches back to 1964, but it might even be the best… The result is something few other authors would aim for, let alone achieve: genuine grandeur." "Greatly detailed... boasts authentic characters set in equally authentic locations." "Keneally has summoned all of his ample talent to write a sweeping novel of World War I." "A bravura piece of writing."